Hollywood liberals love to hate on everything that doesn’t go their way. You can expect nothing but vitriol from the Hollywood leftists because they still can’t come to terms that Donald Trump is the President of the United States. And now the White House Correspondents Association announced one move that has Hollywood up in arms. Unfortunately, the liberal mainstream media has been a disgrace under President Trump. President Trump announced earlier this year that he does not plan to attend. But the Association just announced they will not be inviting a comedian to host the event this year. Instead, historian Ron Chernow has been invited as host for the dinner in April. Hollywood is, of course, furious. 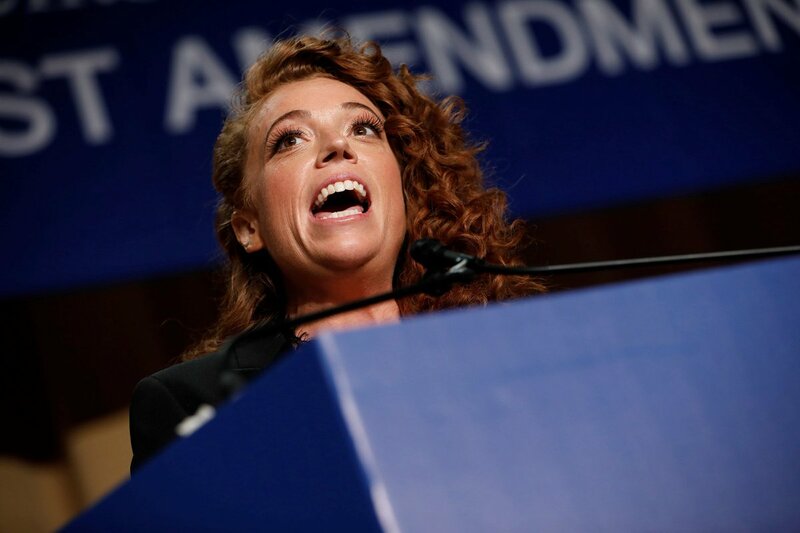 One person who definitely had something to say was the infamous comedian Michelle Wolf. Wolf called the WHCA “cowards” for not inviting a comedian to host. You might remember Wolf was the guest comedian for last year’s dinner. Her “jokes” were aggressive and distasteful at best. Some were downright unacceptable. She joked specifically about White House Press Secretary Sarah Huckabee Sanders and created a nationwide controversy. She was not amused for obvious reasons. But where she really crossed the line was when she made fun of Sanders and her appearance. Hollywood really believes that conservatives and Trump are too sensitive to have a comedian host the event, which is a ridiculous assumption. When comedy borders on cruel, senseless, and mean-spirited—well nobody would want that kind of entertainment. Nevertheless, inviting Ron Chernow to speak seems like a refreshing change of pace from years prior. He is a Pulitzer Prize winner that includes biographies about J.P. Morgan, John D. Rockefeller, George Washington, and Alexander Hamilton. Will Trump Attend The Dinner This Year? Many in the liberal media speculate this move will entice President Trump to show up. The D.C. “Nerd Prom” has a long history of controversy because of comedians. In the pre-Trump era, Stephen Colbert roasted former President George W. Bush. And somewhat surprisingly, Trump-hater Seth Meyers blasted former President Barack Obama in 2011. Both “performances” made national news the next day. The irony in all of this is that before Trump became President, he had appeared on Comedy Central’s Celebrity Roast. Trump is no stranger to crass jokes. So it’s clear that Trump isn’t sensitive to criticism or jabs. However, he does find it insulting when he and his administration officials are disgustingly mocked and made fun of. Michelle Wolfe crossed a line that should not have been crossed. Trump is the most important person in every room nowadays, so it does seem like this change in the dinner’s entertainment is to encourage him to attend. Do you think it was a good idea to switch things up like this?